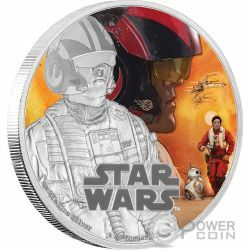 This stunning coin design shows an engraved image of Poe Dameron against a colourful background scene from Star Wars: The Force Awakens. 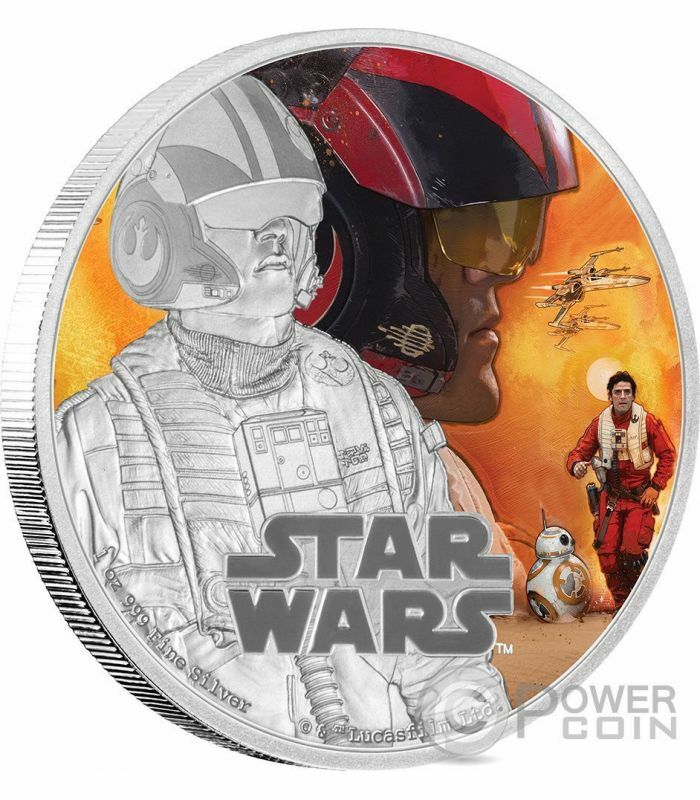 The 1 oz Silver Coin comes presented in a high-quality, new slimline Perspex coin case and Star Wars-themed outer coin packaging. 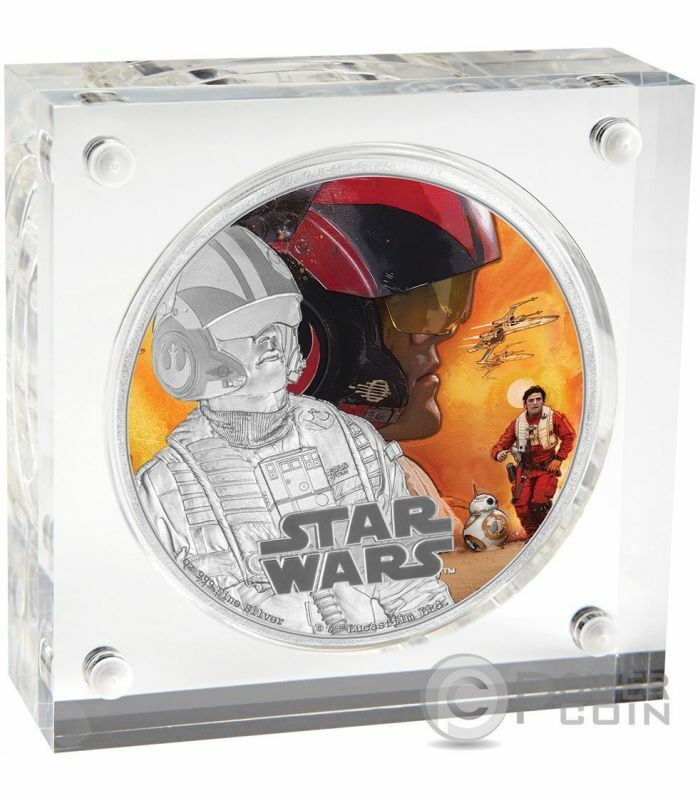 The Certificate of Authenticity sits within the coin case. 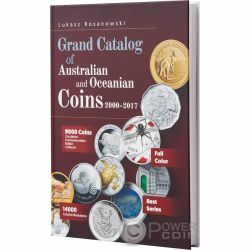 Limited worldwide mintage of only 10,000 coins. 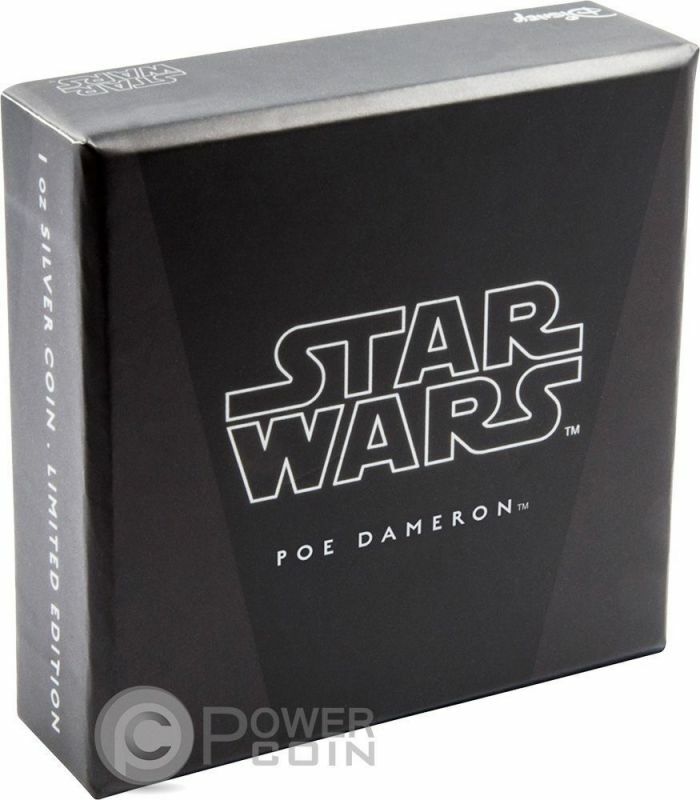 The coin's reverse features Poe Dameron from Star Wars: The Force Awakens. 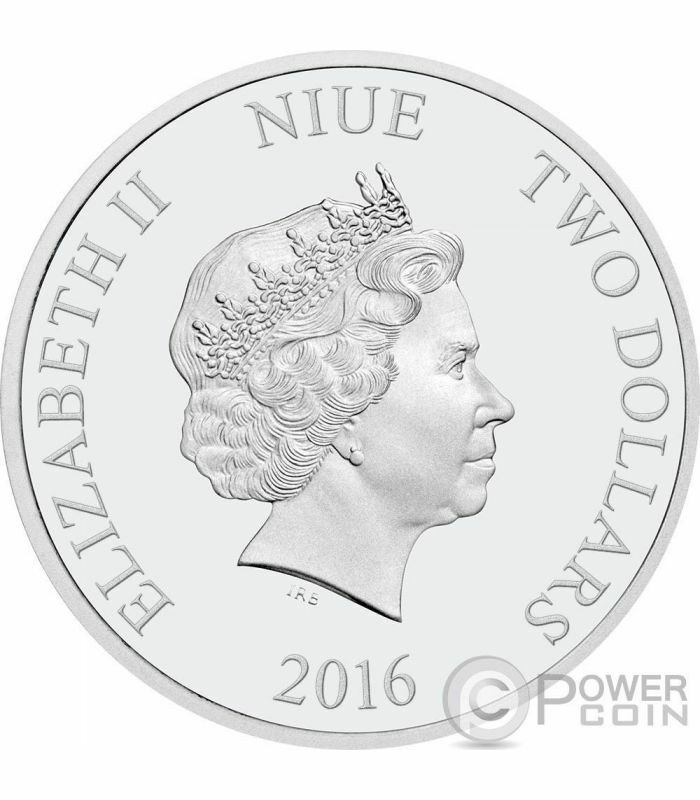 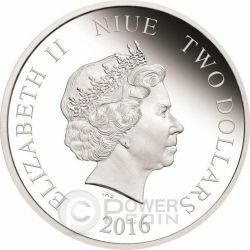 The coin's obverse features the Ian Rank-Broadley effigy of Her Majesty Queen Elizabeth II, the face value, the issue country and the issue date.